I’ve just had a very nice visit to family in my hometown, and now have an evening in Palm Springs before flying home tomorrow. Sadly, I didn’t know it’s Pride weekend here, or I might have stayed through Monday. Because of Pride, the last place I stayed was full, so I just went for cheap. The first Motel 6 I checked online was also full, but there’s a second one, which I booked. It happens to be right next to the Ace Hotel (a hipster chain based in Portland), and so I’m currently awaiting a burger (made from a happy cow) and drinking a Babe’s Vanilla Blonde draft beer. We had a nice visit of the whole family to the Anza‐Borrego State Park this morning. It’s past the peak for desert wildflowers, but we still saw some colorful plants. I took some photos, and managed to crop a few on my as‐yet ill‐equiped Dell laptop. Individuals who wish to protest the harsh new DHS regs on HIV‐positive travel may submit comments online . . . — but to do so you must include the docket number of the proposed regs, USCBP-2007–0084. Whew! The annual General Assembly of the Unitarian Universalist Association was rewarding (who knew so many people like the magazine? ), spending Monday doing tourist things was fantastic (I’d like to be able to visit the classical Chinese garden on a regular basis), but the flight home was absolutely terrible (American through Dallas‐Fort Worth, with a night on a cot in the airport). But at least I’m home, in the familiar heat and humidity of summertime Boston! It’s certainly not that there hasn’t been anything happening, or that I haven’t been reading. But it’s been a busy summer–full, fun, difficult, challenging, all over the map. One of my best and oldest friends, BH, has pancreatic cancer. I’ve been to Philadelphia, oh, five times since June. I went to the annual Gathering of Friends General Conference, where I saw many old friends; took a splendid workshop (five days, 2 1/2 hours a day) on Sacred Harp; discovered that while I like Boston better than Philadelphia, I’m not as happy; and decided that perhaps I should address my now going‐on‐two‐years spiritual malaise by trying out programmed Friends meeting and/or local liberal Christian churches and/or trying Buddhist practice. And I saw Mt. Ranier every day for nine days. Woot! I got an aquarium, which is a return to a favorite hobby of childhood and some parts of adulthood. 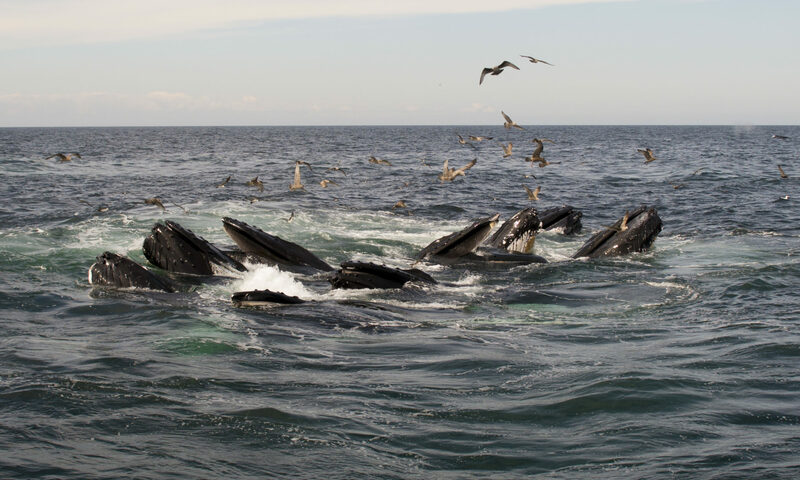 I went to Provincetown overnight for my birthday, taking the ferry and also going out on a late‐afternoon whale‐watch. We saw many, many whales, very, very close. It was also the hottest day of the summer, and I spent the night in an air‐conditioned room at a nice b&b. What a great decision to go! I’ve started a letterpress/book arts course at MassArt, which will go through mid‐December. And I’ve read various and sundry books that I do hope to list eventually.